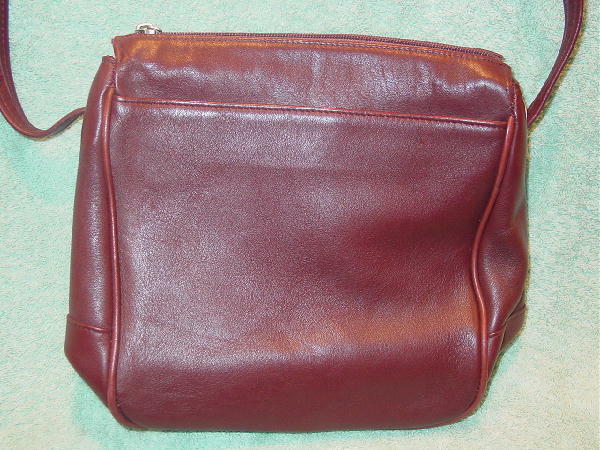 This vintage burgundy leather purse is by Tignanello. There is a large front open section with a faux leather lining, a center section with a top side to side zipper with a silver-tone metal logo pull tag, a back open section, and a lower zippered back compartment with a red wine fabric lining. 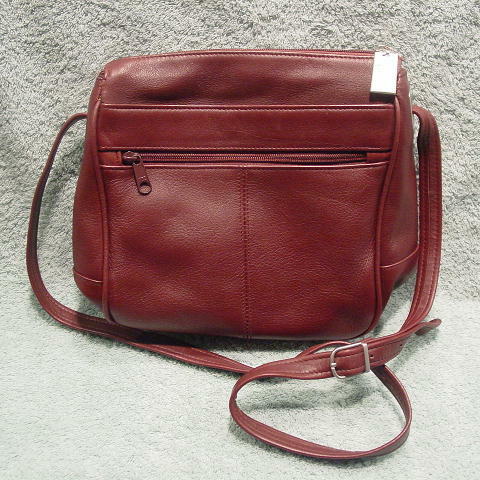 The center section also has a red-wine fabric lining and an interior lined zippered large pocket. It has a 46" long by 3/4" wide adjustable shoulder strap with a silver-tone buckle. There are also silver-tone metal squares surrounding the bases of the shoulder strap. There are two line scuff marks above the outer zipper section.